I just received my Practical Paleo book last week. I'm planning on making at least 1 new recipe a week from this book -- The book is really nice, colorful and has loads of info. First recipe I'm going to try is the pumpkin pancakes ... I'll post a review later! I love this book! We have made quite a few recipes out of the book, and they all have been really good. Today we are making the crock pot balsamic rib recipe. I'll let you know how it was! I am picking out a couple recipes to try this weekend. I have to go shopping first though as old mother C went to the cupboard and it is bare. The balsamic ribs were awesome. Really good! Maybe we should post pics and reviews from the recipes in this book? So far I have loved everything we have made though, and even my daughter loves this book. I would bet we have already made a dozen things out of this book. All of them being good! That would be awesome if you all posted pictures of the recipes you tried. 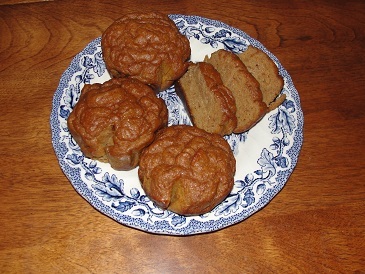 Yes, I would love to see pictures and reviews of recipes from Practical Paleo. I am doing the flank steak, pumpkin pancakes and apple muffins from it this weekend. I guess it is time I figure out how to post pictures! My only minor complaint about the book so far, is that it is so heavy. I am thinking of cutting the binding and making it into 3 books. One being the information part of the the book, then the 30 day plan, and finally one for the recipes. I thought the same thing KC, it's an awkward size ... need to sit at a table with it. On the other hand I really like the pullout pages! 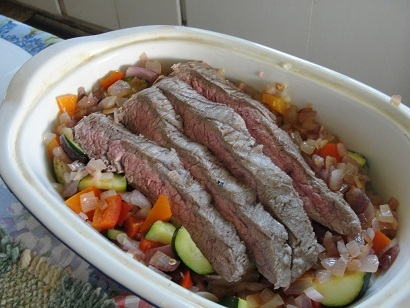 Flank steak with onions and peppers. I add some zucchini. Steak was a little bland, but I cooked it on the George Foreman rather than the barbeque. Yum, now I've got to look into this book...(you had me with the pumpkin pancakes!) It has rave reviews on amazon. Does it have many hard-to-find ingredients or spices in the recipes? We don't have a Whole Foods or a Trader Joe's but do have a Natural Food section in our local grocery store. So far I have not had to go anywhere but Bel Air. Loved the pumpkin pancakes and muffins! So good. I am going to try the.bacon wrapped chicken thighs tomorrow night. I am drooling just thinking about it. I have made several of her spice blends and rubbed them on chicken. They are quite good. I like the Cooling blend, my hubby likes the Indian, and the whole family loves the Savory. I also made hubby the bacon brownies, and man, those things are amazing! I meant to take a pic of the balsamic ribs, because they were out of this world good! But they were gone before I had a chance to take a pic. Oh, and the raspberry tarts, OMG! They were so good that my 12 year old daughter decided that she no longer needed store bought junk food as long as she could have those! Oh, and zucchini pancakes, we eat those several times a week, only I am lazy so I just mix a couple of eggs in with shredded zucchini, and voila, breakfast is ready! I also have jars of sauerkraut fermenting on my counters! What can I say but I love this book! 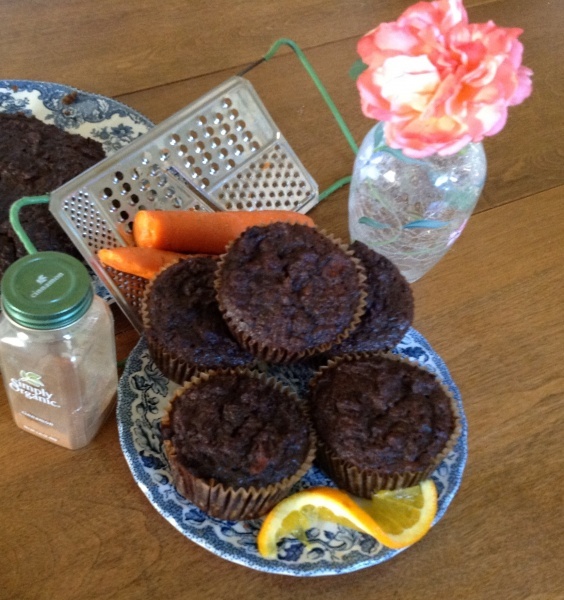 Carrot Gingerbread Muffins from Practical Paleo minus the frosting. They had a very strong molasses flavor, which I like, but would prefer the stronger flavor to be ginger. I think I will use honey next time. They are delicious, husband went for seconds. Picture is kind of big, not sure how to re-size. My favorite muffin is the Muffin in a Minute from the Atkins website. It's made with ground flax seed (which you can get gluten free). I've tried Muffin in a Minute (I keep flax in my freezer and grind it myself before use) and while I like the taste, I can't seem to get it to be very 'muffin' like. It's more like a souffle. I may need to experiment more with time and ingredients. I think my microwave power is a tad on the low side, and that may make a difference. In my old microwave I needed to do it for 1:20 ... new microwave is just a minute. I also mix it up in a small bowl to blend it better and cook it in an Ikea wide ramkin. If I make it in a coffee cup I make sure to really really mix it up well. Oh yes, I did notice the 'not quite mixed' thing. Thanks for the suggestions! I have some ramekins around, I'll have to try that. I just got Well Fed - (Paleo Recipes for People Who Love to Eat) I don't do paleo, but anyone who is reducing carbs/avoiding grains can use these recipes. It's got some nice ideas in it, and the photography is wonderful! I added a web link to a page where you can get a 30 page sample of the book for free. So Cindy H, did you make a New Dish every day until the book was finished? And what was your favorite meals in the book!